The conference needs volunteers to help greet attendees, moderate breakout sessions, assist with building and scripting tasks, technical support and assistance with streaming, and other duties to help make the conference a success. If you are experienced with the OpenSimulator platform and have an interest in helping, we’d love to have you join the team! Depending upon your interests, you also have the option of selecting more than one volunteer role. Duties: Assisting with the construction and building of the conference venue and regions, including modifying previously created content. Skills Required: Volunteers in this role should have prior content creation experience in Second Life or OpenSimulator, including a high comfort level with rezzing, moving, editing, and linking prims, understand object and land permissions schemes, and feel comforting taking direction and critique from conference organizers. Availability Needed: The vast majority of building will take place many months before the conference, so you would need to be available to begin working in mid- to late September. Duties: Scripters are part of the Building Team, and work closely with builders to script objects for interactivity. Skills Required: We especially need folks who have extensive experience with LSL and OSSL functions. Availability Needed: Like builders, much of the work will be done well before the conference, so you would also need to be available to begin working in mid- to late September. Duties: Part of the Marketing Team, duties will include helping market the conference through social media and listservs in the months before the conference, and of course helping update the website and various social media streams during the conference as well. Skills Required: Volunteers in this group should be very comfortable using social media tools such as Twitter, Facebook, LinkedIn, Plurk, and G+, and have excellent oral and written communication skills. Availability Required: You would need to be available starting in mid- to late September to join this team. Duties: The Streaming Team is responsible for all of the audio/video and live video streaming of the conference sessions, including keynote and breakout sessions. Skills Required: Volunteers for the streaming team are NOT required to have previous experience with streaming or machinima, since we can teach you everything you need to know, however, prior experience would be helpful and you must be comfortable working in relatively fast paced and technically complex situations. If high pressure situations make you uncomfortable, this would likely not be a good choice for you. You should also have a fairly modern computer with no less than 4GB RAM and a “gamer” video card, as well as high speed internet access to stream audio and video. Availability Required: Members of the Streaming Team will need to be available for training in October and of course for the two full days of the conference itself. Duties: Greeters are primarily responsible for welcoming conference attendees to whatever region they are assigned to and helping the audience with basic questions such as viewer technical support, wayfinding, and helping people figure out where they are supposed to go or be. Greeters can also monitor local chat in the area to make sure anyone who needs help is being assisted and to ensure no one is being disruptive or causing problems for other attendees. Skills Required: Volunteers in this role should have a strong customer service orientation, be very comfortable providing technical support for OpenSImulator and associated viewers, have excellent written communication skills, and have a patient and professional demeanor. Availability Required: You would need to be available for training in October as well as cover assigned shifts for the two days of the conference. Duties: Moderators are primarily responsible for welcoming conference speakers to whatever region they are assigned to and making sure the speaker has everything they need to give a successful presentation. Moderators introduce the speaker at the start of each breakout session in voice via Skype, and keep an eye on the clock to remind the speaker when they have 5 minutes left of their session, and then close out the session by thanking the speaker. Moderators can also help monitor local chat to look for questions for the speaker if they feel comfortable doing so and watch the UStream channel embedded chat to relay questions from the web audience to the speaker. Skills Required: This role requires public speaking in front of a live audience, and moderators must be comfortable and willing to speak in voice. You also will need a headset/microphone for the best audio quality for the live streams and recordings. Volunteers will be selected based on their skills, experience, and availability. Thanks for your interest in helping with the conference! Ideally this would be the number where we can reach you during the conference in the event of an emergency. Please include Country Code and Area Code. We use many Google Apps in organizing the conference, so Gmail email address are preferred. Please proof your email address since all communications will be sent to this address! We use Skype for communications and streaming presentations. If you do not already have a Skype account, please create one now and enter your Skype username. Approximately how many hours per week can you devote to helping plan the OpenSimulator Community Conference between now and December? Please indicate the sorts of things you would like or be willing to do to help with the OpenSimulator Community Conference. Do you have prior experience organizing conferences or conventions? If so, detail your previous experience, including virtual and real life conferences. Anything else we should know but forgot to ask? I understand that my participation is important to the success of the conference, and I will honor my time and service commitments. I will conduct myself with professionalism and respect the rights and dignity of all people involved with the program. I also agree to comply with all applicable laws and AvaCon company policies during my volunteer service. 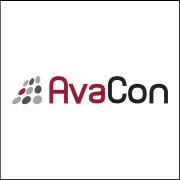 I understand that photos and videos of conference events and activities are often taken for archival or promotional purposes, and I hereby release and agree that AvaCon has the right to use my name, voice, photograph, and likeness in all forms and media including composite or modified representations for the purposes of promoting, advertising, and archiving conference events and activities. I acknowledge that I am volunteering my services to AvaCon, and I understand that as a volunteer I will receive no pay for my services, nor will I be covered by any employment or health benefits that may be available to AvaCon employees. I further understand that as a volunteer, I will not be an employee of AvaCon for any purpose, including for purposes of federal, state, or local employment laws. I agree that the nature of the volunteer work I will be doing has been explained to me and that I am physically and mentally capable of participating in the volunteer effort without injuring myself in any manner. I understand that at times the work may be very psychologically demanding and may involve working for extended periods of time at a computer. I assume full personal responsibility for all risks arising from, or relating to, my volunteer work, and I hereby release AvaCon, Inc., and their officers, directors, agents, employees, volunteers, affiliates, successors, assigns, and subsidiaries from claims, demands and damages of every kind, known, or unknown, suspected or unsuspected, disclosed or undisclosed, arising out of or in any way related to to my volunteer service. I am over the age of 18 and I agree to the above Volunteer Agreement & Waiver. I do NOT agree to the above Volunteer Agreement & Waiver.